"The dominant style is earthy, early-Coltraneish hard bop and there are long processions of solos, but Young’s elegantly reckless improvisations lift this music into another league." "... pristine sound ... the significance of this music is informed by the ripening of Young's approach, as these sessions recorded in 1964 and 1965 were the precursors to his masterpiece Blue Note session Unity ... a rare and, oh so precious find." "If this doesn't wind up as the year's archival jazz find, I can't wait for the treasure that beats it ... dazzling, riveting stuff ... documents the innovation already underway, with Young more upfront, his solos more elaborate and daring, than the future Blue Notes ... another cause for wonderment: the sound quality on these discs is extraordinarily fine: the horns dynamic and vibrant, the drum kit crackling, the B3 billowing with air ... this album unearths what may be (Young and Woody Shaw's) greatest work. Buy it." 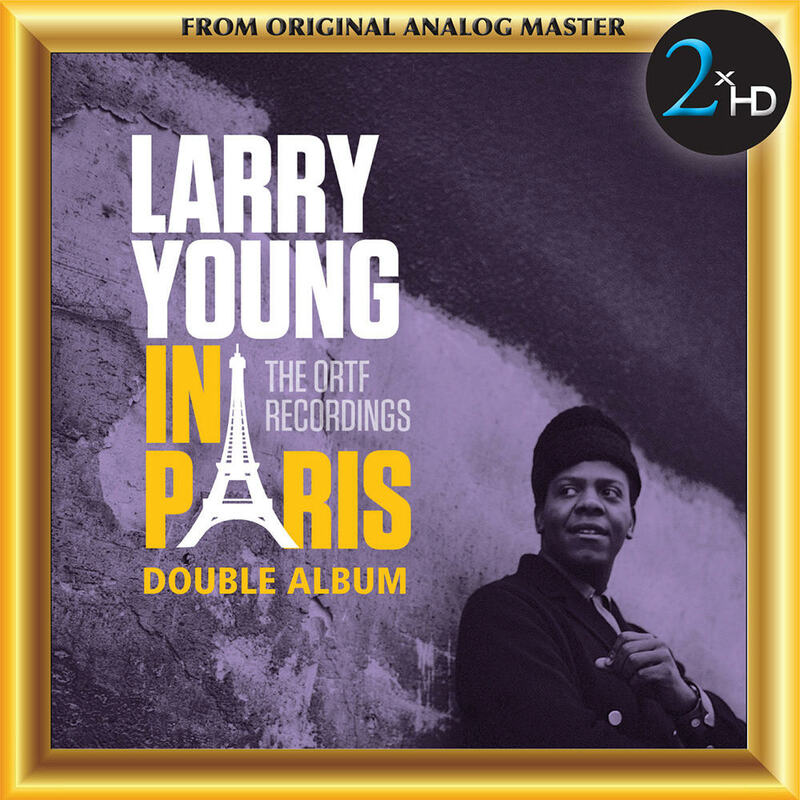 Originally broadcast on radio in France more than five decades ago, these long-lost tracks were unearthed in the vaults of the ORTF (Office of French Radio and Television, now Maison de Radio France) and are available for the first time on this album. The iconic jazz organist is joined on 1964 and 1965 studio and live recordings by Woody Shaw on trumpet, bandleader Nathan Davis on saxophone and drummer Billy Brooks, plus guest musicians from France, Italy and other countries. Among the many highlights is an over 20 minute version of Zoltan that would reappear on Young's classic Unity LP. "It's particularly exciting because none of this music has ever been heard before except on its initial broadcast in France five decades ago. I think that's something to celebrate and a call for us all ... to revisit and discuss this legendary artist's legacy." For the 2xHD transfer of this recording, the original 1/4”, 15 ips CCIR master tape was played on a Nagra-T modified with high-end tube playback electronics, wired with OCC silver cable from the playback head direct to a Telefunken EF806 tube. The Nagra T has one of the best transports ever made, having four direct drive motors, two pinch rollers and a tape tension head.